New Orleans In the time of tight public budgets at every level in the uneven recovery from the recession, especially in distressed communities, little is more contentious than the funding formula and the allocation of scarce resources in public schools. There may be few areas in the country where the issue is more weighted than in New Orleans the home of the largest charter school experiment in the country over the last decade, where there continues to be a split system with some schools under the elected board and some still managed by the state. So, the State of Louisiana is broke as a joke. Not a funny joke, but one leaving the state and much of the educational system in wreck and ruin after the failed narcissism of former governor, Bobby Jindal. Now in the reckoning with reality, the two local New Orleans school systems have tried to work out a formula through the various superintendents and the committees that advise them composed of many of the school principals. Truth to tell there have been a lot of problems with some of the charters. One of the more noxious has been the sleight of hand used by a number of the charters to steer special needs students anywhere possible as long as it was not their own classrooms. A class action suit brought by national and local civil rights organizations exposed this situation for the venality it represented, but also meant that any funding formula was going to have to do better in supporting special needs students if possible. 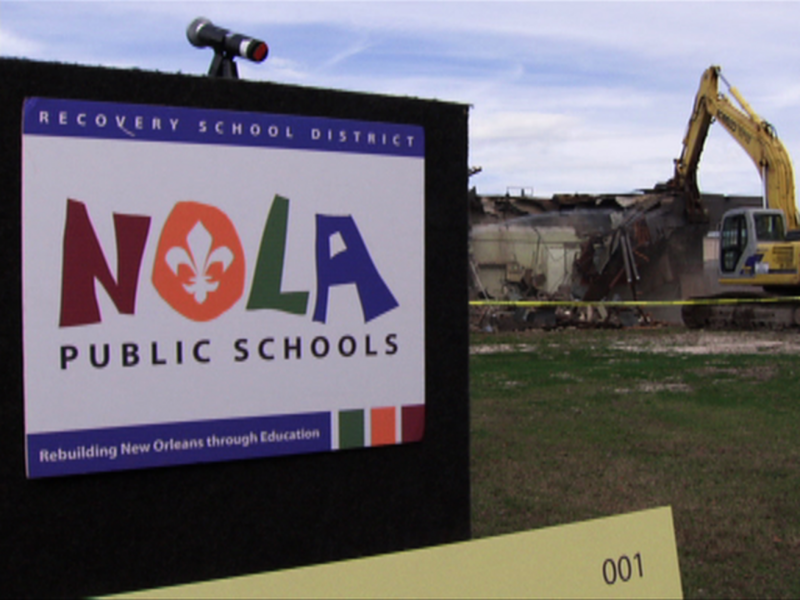 It was not a surprise that in the negotiations the often conflicting New Orleans-based school superintendents were able to come to an agreement on a formula, urged and ratified by their advisory committees, but equally unsurprising is the reallocation of funds as the state-based Recovery School District finally grips the reality of return to the Orleans Parish School System. Something was going to have to give, and that turned out to be the “gifted/talented” category. The funding in this category is set to drop under current discussions from $1295 per student down to $375 per pupil. The reductions will be phased in gradually with no school losing more than $170 per student on the average in the coming school year. Seems fair doesn’t it? In fact it was approved 10-1 by the committee. Other organizations from the Urban League to even the Louisiana Association of Charter Schools sent the state board letters of support. Nevertheless, the few schools that are magnet charters for the gifted have squealed like stuck pigs. Partly that’s because both politics and money demands they play their parts. Politics because their public school student base and more importantly their parents includes people with more clout, louder voices, and deeper pockets than the average public school, so they have a shot that their pleadings might ease the pain. Money, because many of these schools are fundraising juggernauts with their own development staff, tax exempt organizations, and zealot, one-hundred-percent fundraiser parents. From the numbers I happen to hear from one school, Benjamin Franklin High School, they already privately raise more than $1 million to supplement the state and local funds. Though the development team and principal were moaning that they would lose 12% of their funding on their $10 million school budget over the years, they would only lose about $150,000 in this first year, and you get a feeling that is about the dollar amount you could put on whether or not “they protest too much.” The published paycheck for one of the other gifted schools is at the level that she could probably absorb the entire cut in the coming school year by lowering her pay to only $200,000 per year. Funding fights are hardball, but this one is a good example of a time when it makes sense not to count the dollars, but the votes, and play the long game by learning more about grace, than grab.